williamallenpepper | Here's a blog because NOBODY else has one! On episode 36, it’s the return of author/illustrator Jason Yungbluth! Several months ago, Jason appeared on the show and offhandedly commented that his “favorite” Peanuts special is the 1976 “IT’S ARBOR DAY, CHARLIE BROWN”. So…I invited him back to the show to defend that dubious position. That’ll teach him to express an opinion! We also have a Random Strip of the Month and a review of a “Peanuts by Schulz” short episode called “Fly”. Plus, the usual mixed bag of Peanuts news and musings. Thanks to Kevin McLeod at Incompetech.com for creative commons use of his songs “Bass walker” and “Mining by Moonlight”. Thanks to Henry Pope for the use of his “Linus & Lucy” remix. Find that and more of his music on Soundcloud here. Atari Bytes – Hey! That’s my other show! Pick up your copy of my new collection of short stories MISERY BANANA: VERY SHORT STORIES INSPIRED BY OLD GAMES AND ODD THOUGHTS – here’s one of the places you can do that. Greetings, fellow blockheads! IT’S A PODCAST, CHARLIE BROWN Episode 35 is here! Just so you’re not confused, I messed with the schedule this month and not just because this episode is dropping a day late. We’ve still got a random strip of the month. We’ve still got a “Peanuts by Schulz” short (this one is called “Reach for the Stars”). We even still have episode 17 (the penultimate one!) of “The Charlie Brown & Snoopy Show”. BUT, we’re shelving the planned “A Good Man, Charlie Brown” discussion until a later date. I had the unexpected good fortune of booking an interview with playwright Jack McManus about his new musical “Sparky”, which debuted earlier this year in New York. The play presents significant points in Schulz’s life and sounds very cool. I think you’ll agree the scheduling change was well worth it. Go here to donate to William Johnson’s “Peanuts on Parade: A Tribute to Charles Schulz” book Kickstarter. Listeners who kick in $50 or more get an extra photo! Thanks to Kevin McLeod at Incompetech.com for creative commons use of his songs “Mining by Moonlight” and “Bass Walker”. Thanks to Henry Pope for the use of his “Linus & Lucy” remix. Hear that and more of his music on Soundcloud here. Atari Bytes – Hey! That’s my other show! Go there for an original short story every single week. Please consider supporting the show financially on the IT’S A PODCAST, CHARLIE BROWN page on Patreon.com here. Thanks in advance. This month, episode 34 is booting one through the ol’ uprights with not one but TWO football themed episodes. First up is IT’S YOUR FIRST KISS, CHARLIE BROWN from 1977. Charlie Brown’s kicking prowess is all that stands between victory and defeat in the big Homecoming game. (Never mind that this is usually a high school thing. Peppermint Patty has a game to win!) Will the Little-Red-Haired-Girl-turned-Homecoming-Queen have Chuck banished from the royal realm? How much power do Homecoming queens actually have? Next, we check out YOU’RE IN THE SUPERBOWL, CHARLIE BROWN. Except he’s not. This 1994 tie-in with that year’s Superbowl finds World Famous Coach Snoopy trying to lead his team of birds to Animal Football League glory while Linus and Charlie Brown vie for the affections of New Girl in Town Melodie Melodie even as they get ready for the “punt pass kick” contest where they could win a new bike..also, a Superbowl ticket. Just one though. Does that Superbowl one sound fun? Want to buy a copy to watch? You can! If you time travel to 1994! And get your gas at Shell Stations! And still have a functioning VHS player! Listen to the episode to have this explained. But if you time travel BEFORE you listen, you’ll spoil the ending. We’ve also got a “Peanuts by Schulz” short called “Company” and another “Random Strip of the Month”. Send us your Random Strip submissions right now … after you listen, of course. Here’s the 1999 Hartford Current article expressing the belief that Schulz overstayed his welcome. Thanks to Henry Pope for the use of his “Linus & Lucy” remix. Check out his music on Soundcloud here. You can support IT’S A PODCAST, CHARLIE BROWN financially on our Patreon page here. Please consider doing so. Okay, not really. But we do have a conversation with Benjamin Clark, curator of the Charles M. Schulz Museum and Research Center in Santa Rosa, California. Benjamin gives us some insight into the daily life of a curator, how exhibits are put together, and a LOT of exciting things coming up in coming years. I even asked him, as the keeper of all things Peanuts, what is REALLY inside Snoopy’s doghouse. We’ve also got one of the few remaining “Charlie Brown & Snoopy Show” episodes (#16 to be specific). In this one, the Peanuts gang boldly goes where no Peanut has gone before. At least it felt that way. We’ve also got a “Peanuts by Schulz” episode called “Nice Doggy” and another “Random Strip of the Month”. Chew your cookies loud as you want (It’ll make sense after you listen) and tune in! Thanks! Here’s a link to Luke Epplin’s article, “Selling Out the Newspaper Comic Strip”. It’s a Podcast, Charlie Brown show notes, episodes, social media and more. Please consider supporting the shown financially. Snoopy’s dog bones aren’t cheap. You can do that on Patreon here. We hope you already peed, because once the cross-country race that is this week’s episode gets going, we’re not stopping. It’s the Activision game ENDURO, from 1983. So, this week’s story probably has something to do with eggplant farming. Thanks to Kevin McLeod at Incompetech.com for creative commons use of his songs “Take a Chance”, “Reformat” and “Pinball Springs”. Thanks to Mike Mann for his “Mad Mike Hughes” theme. It’s a Podcast, Charlie Brown- grab a root beer and get your fill of ALL things Peanuts here, on the 15th of every month. Here’s the Atari Bytes Patreon page where you can support the show financially. Thanks. In the St. Nick of Time is my holiday novel. A Santa Claus story for us adults. You can order it wherever you get books. Here’s one of those places. Much like the unnamed karate-practitioner in Broderbund’s 1988 port of KARATEKA for the Atari 7800, my moves are lightning fast and totally ineffectual. But we both look great with bare feet. Bunions are in now, right? Why is Mr. No Name – let’s call him “Ed” – storming the castle of evil warlord Akuma? Why does Akuma leave his doors unlocked? Is the lovely, Princess Mariko longing to be saved by…Ed…or is she doing just fine on her own, thank you? We’ll take a flying drop kick into episode 150, roundhouse the deets on this game and then, as the story within the game lies convulsing on the floor, we’ll FINISH HIM. It’s a Podcast, Charlie Brown – Good Grief! That’s my other show! Patreon – You can support Atari Bytes financially here. Zazzle.com – the Atari Bytes merchandise store is here. If you have suggestions for items you’d like to see, let me know. You can order my novel IN THE ST. NICK IN TIME pretty much anywhere you want (support your indie book stores! ), but here’s a common location. And don’t forget to leave a review! In the game, you are a farmer defending your carrot patch from relentless gophers stealing your crop. You are armed with a shovel which you wield with merciless glee. Sometimes you actually use to fill in the holes the gopher leaves, but, mostly, you’re all about the bonking. Who doesn’t love to bonk their pocket gopher now and then? You can, if you’re able, support the show financially on our Atari Bytes Patreon page here. Thanks! 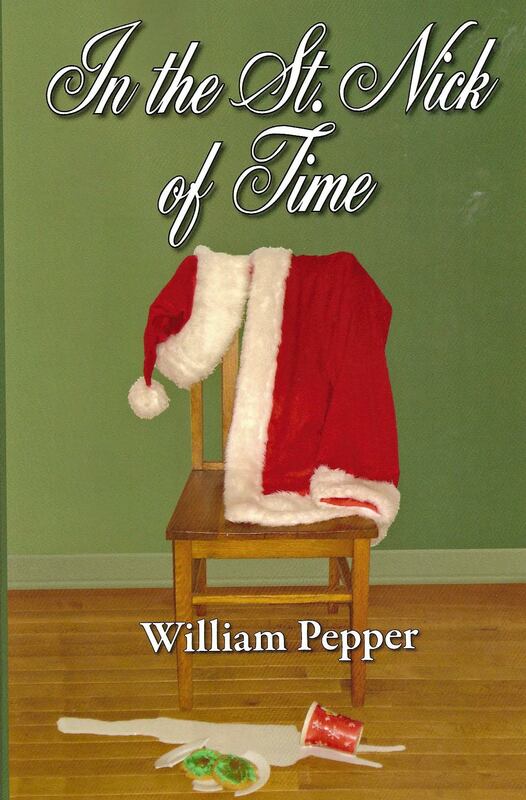 If you’re so inclined, check out my novel IN THE ST. NICK OF TIME, a sort of Santa Claus story for ADULTS. Humor, gun play, and St. Nick in an existential crisis. Hope you enjoy! Here’s one of many places you can order it. If I had to venture a guess, I’d say this week’s episode IS THE SINGLE GREATEST PODCASTING EXPERIENCE YOU WILL EVER HAVE… during the time you listen to this particular podcast. In episode 148, we’re playing VENTURE, Coleco’s 1982 port of the classic arcade game that I never actually played. Treasure hunters seek their booties in deep, dark dungeons. Meanwhile monsters shake their booties in pursuit of those same hunters. You’ll be relieved to know that I don’t think the word “booty” appears anywhere in this week’s story. It’s a Podcast, Charlie Brown – Hey! That’s my other show. Calling all Snoopy lovers! Consider checking out my novel IN THE ST. NICK OF TIME, a sort of Santa Claus story…for adults! You can order wherever you like to order books. Here’s one of those places! This week on episode 147, we’re playing an early Atari effort from 1978: 3D TIC-TAC-TOE. Was making tic-tac-toe three dimensional an innovative twist on a perennial diner placement favorite or was it a distracting, pancake-themed riddle over nothing more worthy than a gravy stain on that placemat? Here’s one of many places you can pick up my novel IN THE ST. NICK OF TIME – a sort of Santa Claus story for adults. Don’t like this retailer? Pick your own! You can order it pretty much anywhere! Thanks in advance!